Good branding is the beginning and foundation of any marketing effort. Branding principles guide the way you identify your product and assurances. Respect for the basic branding principles can help you identify the condensed but critical symbolic message you want to send. Basic branding principles applied to the following areas will help your branding be more effective to your industry and the general public. The mantra of most branding gurus is simplicity. In that spirit, use the fewest number of syllables possible when naming your brand. Choose a name that conveys your product’s attributes; be they speed, strength, value, or what have you. Google is a great example. The word “google” originally meant the number one with a hundred zeroes after it. Also, people used to say that folks with thick glasses had googley eyes. In fact, this is often the very symbol of intelligence. When you’re searching the Internet, don’t you want to use the search engine with infinite intelligence? Google’s name says volumes in two brief syllables. Simplicity and relevance also rule good logos. Use the fewest colors you can. If you’re a new brand, you’re better off with a brand image that’s readily recognizable to the general public. There are many conventions you can draw from: scales if you’re in the field of law, a farm or a leaf if your product is agricultural. With your logo, the branding principle of message also comes into play. Your logo should serve as shorthand for the brand. It should telegraph everything about the brand to the general public. The Nike swoosh, for example, hints at Mercury’s winged shoe. It says speed without uttering a word. 3. Your product’s distinguishing characteristics. The branding principle of relevance reigns here as well. Distinguish your product from the competition in your branding, but also reach all the way back to the very design of your product. What will your product offer the consumer that no other brand does? How does it set itself apart from the competition? What are your assurances? Levi’s very successfully encapsulated its brand’s unique offering in its design and carried it through to its branding. To this day, every pair of Levi’s sports a leather tag showing two team horses trying to pull a pair of Levi’s in half. Your brand is seen throughout the distribution channel. How will your product be distributed? Will it be downloaded from the Internet? Delivered to the customer’s door? 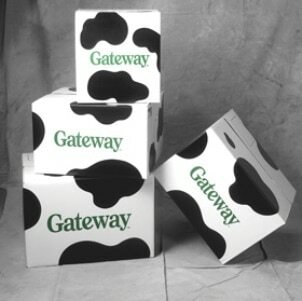 Gateway was successful in comprehensively wrapping its distribution model into its branding by shipping its direct-sale computers to customers in distinctive white boxes covered with the black spots of Holstein cows. Gateway’s package design embraced the branding principle of messaging by communicating the company’s Iowa roots all the way through the distribution channel and onto the consumer’s front doorstep. The Holstein theme also echoed the company’s low-tech advertisements. These are just a few ways to apply the most basic of branding principles to both communicate your product and market it. There are, of course, many more branding principles and many other areas in which you can apply them. In my experience, however, simplicity, relevance and message are the overarching principles of any branding effort. Of course, there’s much more that could be said on this subject. What’s been your experience? Michael Houlihan, co-founder of Barefoot Wine, the largest selling wine brand in the nation, invites you to join the discussion on Branding Principles with your comments, thoughts, and opinions below.